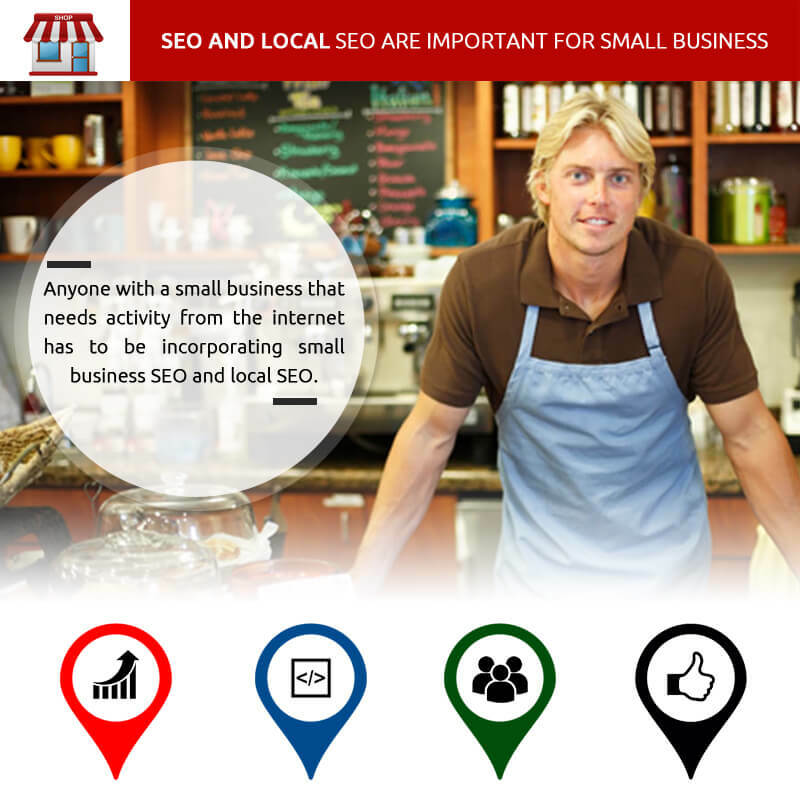 Anyone with a small business that needs activity from the internet has to be incorporating small business SEO and local SEO. Without these advantages, you’re basically wallowing in the mud. Today’s businesses, even if local, may have global reach for their goods and services. If the opportunity arises, you’ll have to take it because your competitors surely will. First of all, investing in SEO doesn’t have to be that expensive nor confusing. There are SEO professionals out there that can facilitate your advance into SEO with relative ease. It’s not a leap forward that happens overnight unless you have some amazing and unique product or service that no one else can provide and word has been mulling about on the web. SEO takes weeks and months to show results. There is constant monitoring and tweaking that goes along the way as well as educating yourself regarding what it is and how you can take responsibility to enhance your chances. Your competitors are using SEO and local SEO, especially local SEO. People can’t buy from you if they don’t know where you are. It’s that plain and simple. This area of SEO calls for lots of expertise. It’s because there’s more to your location than just your address. It calls for information regarding your phone number, zip code, and anything from landmarks to other places that are associated to your business and location. As people visit your site and bookmark it, share it, discuss it on social media, your location data will be accessible and perhaps displayed. Google will see this and this turns into a back link of sorts, especially if a link to your site is posted. This shows Google that your site is relevant and important and that will boost your rankings if all goes well. As a small business, your time must be spent on stabilizing your business and expansion. Nowadays you can’t expand without the web. Only specialty stores and popular restaurants can do without the web. Restaurants aren’t going to send roast beef sandwiches via the web so these spots don’t need an aggressive SEO and local SEO campaign. If you, however, need that local customer traffic, then you had better step up and get your local SEO campaign going on and fast. You’ll learn along the way and you’ll see results in several weeks and then on but it is an ongoing process, one that calls for you to make sure your website is constructed properly with useful and relevant content. The advantages aren’t just additional traffic, but revenue and authority. Your small business needs to make a name for itself and with SEO you’ll end up being linked to and mentioned by the top websites in your niche and the search engines will see this as important that others find your website of such importance to mention or link to or review. It’s a combination of variables that all work in your favor but it’s not going to happen if you don’t get on the ball and get your small business SEO agenda up and running. Remember, your competitors aren’t being hesitant and if you don’t move fast enough you’ll be left in the dust.